The fate of the Dreamers remains up for grabs, as Congress and the White House spar over competing policy priorities that could determine the future of this vulnerable group, as well as the broader population of immigrants and refugees. While lawmakers consider what comes next, it is imperative that they find a solution that improves upon, rather than erodes, the already-shaky protections that existed under Deferred Action for Childhood Arrivals (DACA). Only a permanent, trusted form of relief for Dreamers—one that doesn’t trade away the safety of their undocumented family members—will allow these young people to focus on fulfilling their potential, with the unequivocal support of the schools and colleges that serve them. DACA opened doors to unprecedented economic and educational opportunity for hundreds of thousands of Dreamers who came to this country as children. But, as we learned from recent conversations with community college administrators in several states, it did not quell the undercurrent of fear that persisted on many campuses. Unknown Outcomes—Even during the DACA era, it was difficult for colleges to analyze the outcomes of undocumented students, due to this group's vulnerability. Postsecondary institutions and state community college systems seldom disaggregate data on the persistence and completion of this subgroup. College system leaders cited a fear of exposing students, programs, or entire colleges to real or perceived threats if they maintained such data. With heightened anxiety in immigrant communities, some college administrators and advocates warned that tracking data on undocumented students could be counterproductive, as it might create a “chilling effect” on attendance and enrollment. Unclear Picture of What Works—The lack of student outcome data made it difficult to gain a full understanding of the needs of undocumented community college students or to evaluate the effectiveness of institutions’ various efforts to support their success. Spread of Promising Practices Stalled—Efforts to share and scale best practices have also been tempered due to fear of drawing unnecessary attention to this group. We found numerous examples of promising practices on individual campuses in states as varied as California, Ohio, Texas, and Virginia. These included the creation of faculty groups and task forces dedicated to supporting undocumented students, or training for counselors and college enrollment staff on the common concerns facing this subgroup. In many cases, however, the approaches used by leading colleges are not shared with peer institutions through any formal channels. Funding Barriers—College administrators attempting to launch new programs or resource centers focused on this subgroup faced funding challenges and uncertainty about whether and how state funds for broader equity and student success initiatives might be used for this purpose. In spite of these challenges, we know that DACA had a tremendous positive impact on the lives of approximately 800,000 young people and their families over its five-year duration. As countless DACA grantees have attested, postsecondary education became more affordable and relevant, as students finally had an opportunity to apply their studies toward their career goals with legal work authorization. Now is our nation’s chance to do the right thing and pass a law improving on the original order that even President Obama called merely a stopgap. Whatever form this legislation takes, it is critical that the “interim” status for Dreamers pursuing citizenship comes with strong protections that are well communicated to the field. Washington must send a clear message that the group’s economic, intellectual, and social contributions are valued. 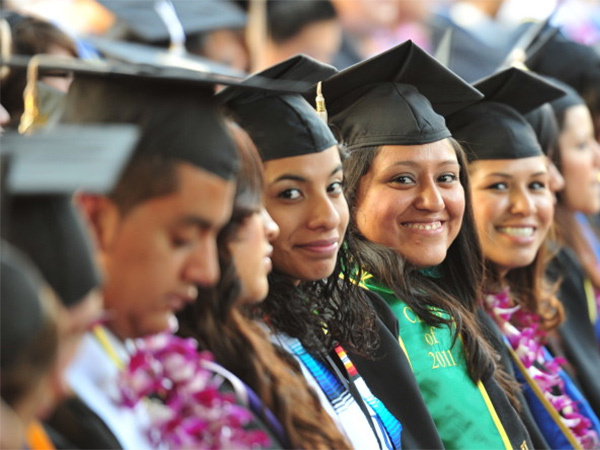 Without this vital guarantee, backdoor threats of potential deportation or penalties for educational institutions that protect undocumented students will continue to undermine efforts to support the success of these 1.8 million students and workers, resulting in squandered opportunities and harsh consequences for the economy.